This is from mid Norway and the city Trondheim. 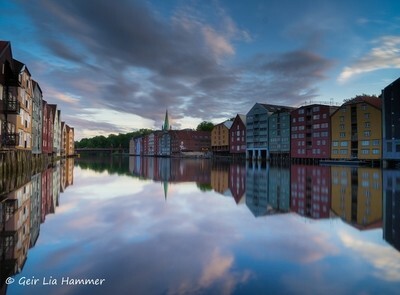 It was a beautiful evening with no wind and stunning reflection from the warehouses. Have seen other photographers taken similar photos and drive 1200km one way to try if I could make it good.